7”x6” Euro Clear Sealed Beam H4 Conversion Head lights. 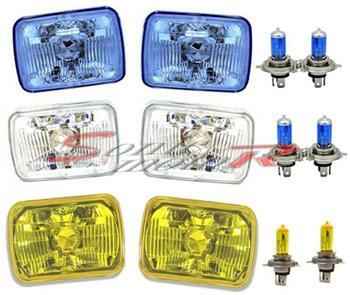 Free blue xenon H4 bulbs included for Clear/Blue head lights. Free yellow bulbs included for yellow housing head lights. Will fit any vehicle that uses 7”x6” head lights. Direct replacement for OEM H6054 headlights. Direct replacement light for your broken/worn head light. Made in ISO 9001 facility to ensure highest quality.